Yesterday was one of those days that you wish could go on forever. I spent the day exploring the garden with my 8-month old daughter. We played, read books, and of course, snacked on the fruits of our labor! I brought out my favorite harvesting basket and slowing filled it up as we made our way around the back yard. We started with the strawberries - so many melt-in-your mouth sweet little berries! They hadn't been picked in awhile so I took the liberty of cleaning off the plants! Then on to the plums... This is our first year getting a decent harvest from our plum tree. It's a dwarf Brooks Plum that we planted in the fall of 2012. The purple fruit hangs on the tree like jewels. 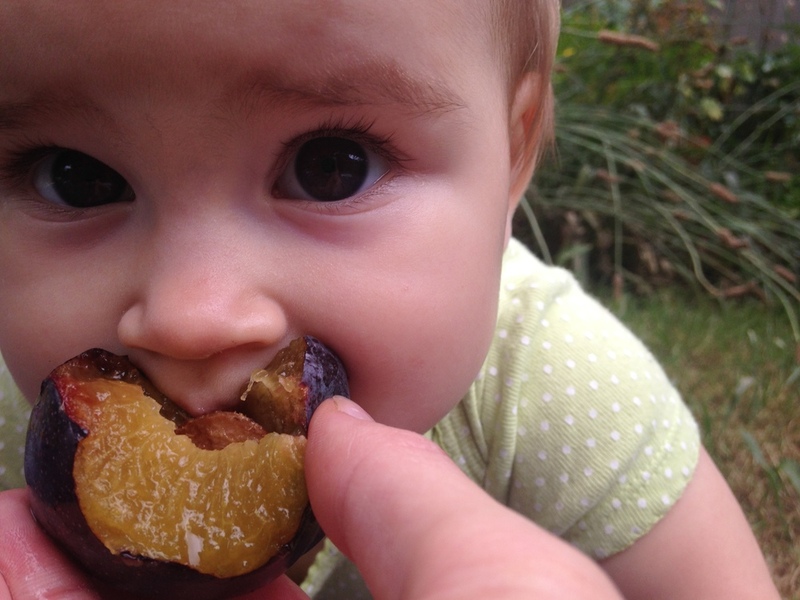 My daughter especially loved the plums! We filled up the rest of the basket with ingredients for gazpacho: onions, cucumbers, tomatoes, basil, and beets. This summer I've really been enjoying a cucumber beet gazpacho recipe from Vegetarian Planet by Did Emmons. It's the perfect combination of flavors and textures and I grow most of the veggies we need in our garden. I am always surprised how much food we grow without much effort. We eventually went inside with full bellies, a full basket, and smiles on our faces. I blended up the gazpacho for dinner and we sat down for a refreshing summer dinner. What's in your harvest basket? 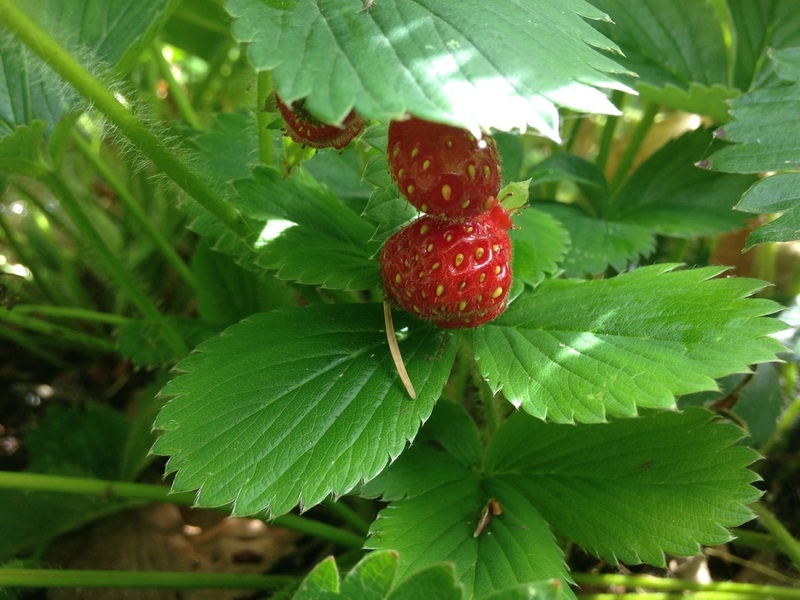 What do you like to make with your garden harvest?